Late-Breaking Abstract Submission for ObesityWeek 2018 Opens July 20! 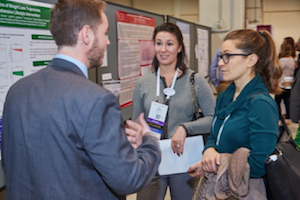 Get your work noticed at the world’s largest scientific meeting on obesity, featuring cutting-edge research and state-of-the-art clinical practice. The submission site for ObesityWeek 2018 late-breaking abstracts opens July 20. Don't miss this chance to present research on basic science, prevention and treatment at TOS's Annual Meeting in Nashville, TN, Nov. 13-15. Poster and oral abstracts slots are available. The submission site will remain open through Monday, Aug. 6, 2018. To submit, results must be from 2018. Simultaneous submission to a journal is allowed. Notification of acceptance will be emailed in late September from annualmeeting@obesity.org. Visit the abstract section on the ObesityWeek website for detailed information. Why Should You Attend ObesityWeek 2018? 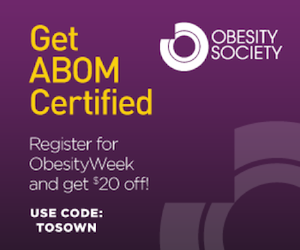 Get engaged with TOS to make ObesityWeek 2019 even better! Join ASMBS and TOS at ObesityWeek 2018 from Nov. 11 to Nov. 15 in Nashville, TN. The preeminent scientific conference features 100+ sessions, numerous social events, 1,000+ abstracts, 150+ exhibitors and 4,000+ attendees. There are 10 hotels to choose from at all price ranges, but you have to register for the conference first to book your room, so don’t delay! 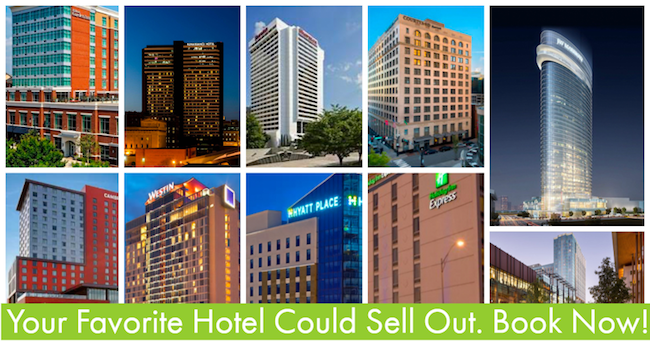 Many hotels will sell out quickly. Shouldn’t You Be ABOM Certified? ObesityWeek gathers newcomers, students, and experts in the field of obesity under one roof. This international conference equips professionals with the essential tools needed for patient care. Whether you have been practicing for 20 years, or just entered the field, ObesityWeek has something for you. Visit the ObesityWeek website for more information. Use code “OW NEWS CODE” to receive a special registration discount. After you've registered for ObesityWeek 2018, share your excitement with your friends and colleagues! I'm registered for #OW2018! Join me at @ObesityWeek https://www.obesityweek.com/registration. Use code ASMBSTW to save! Excited about ObesityWeek? Follow us on Facebook and Twitter. Then, tell us what you are most excited about. Use the hashtag #OW2018 to be featured on ObesityWeek's official Twitter account.